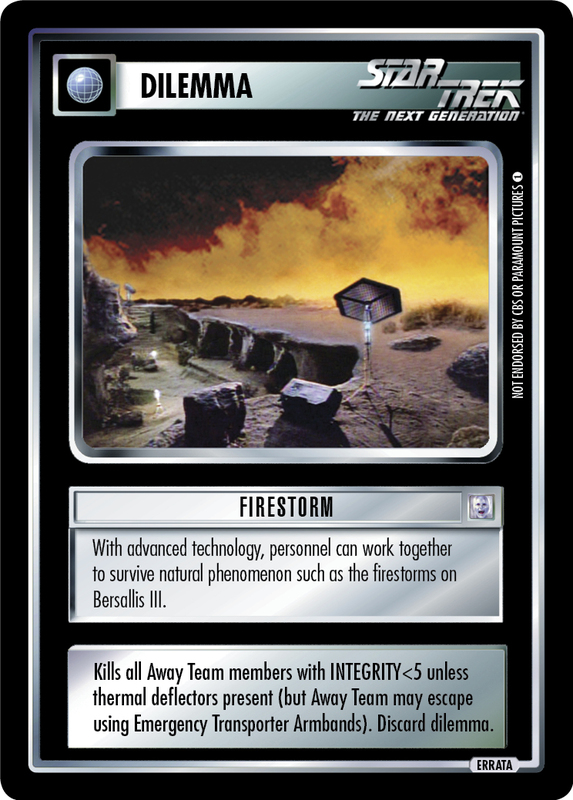 With advanced technology, personnel can work together to survive natural phenomenon such as the firestorms on Bersallis III. Kills all Away Team members with INTEGRITY<5 unless thermal deflectors present (but Away Team may escape using Emergency Transporter Armbands). Discard dilemma.